Searching for some inspirational and funny tenacity quotes. If yes, now you don't need to search for anymore. As here I have compiled down some of the popular quotes about tenacity. Just hope you will like the quote compilation and learn something new from here. Tenacity is a pretty fair substitute for bravery, and the best form of tenacity I know is expressed in a Danish fur trapper’s principle: “The next mile is the only one a person really has to make. 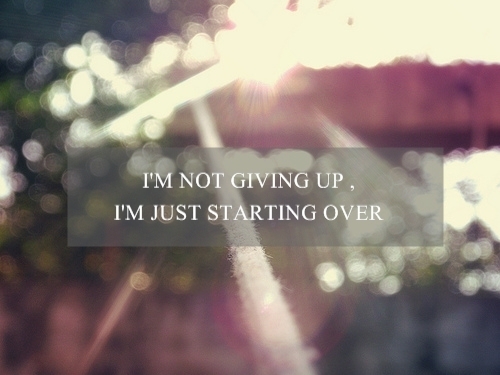 I won't give up. Even if the skies get rough. Often it is tenacity, not talent, that rules the day. You must dare, and dare again, and then dare a little bit more, and go on daring. Men are creatures of invention and are usually determined not to accept no for an answer. Little drops of water wear down big stones. FEARLESS is getting back up and fighting for what you want over and over again....even though every time you've tried before you've lost. Courage is not having the strength to go on; it is going on when you don't have the strength. When the world says, “Give up,” Hope whispers, “Try it one more time.